So, what are some of the life happens moments right now? 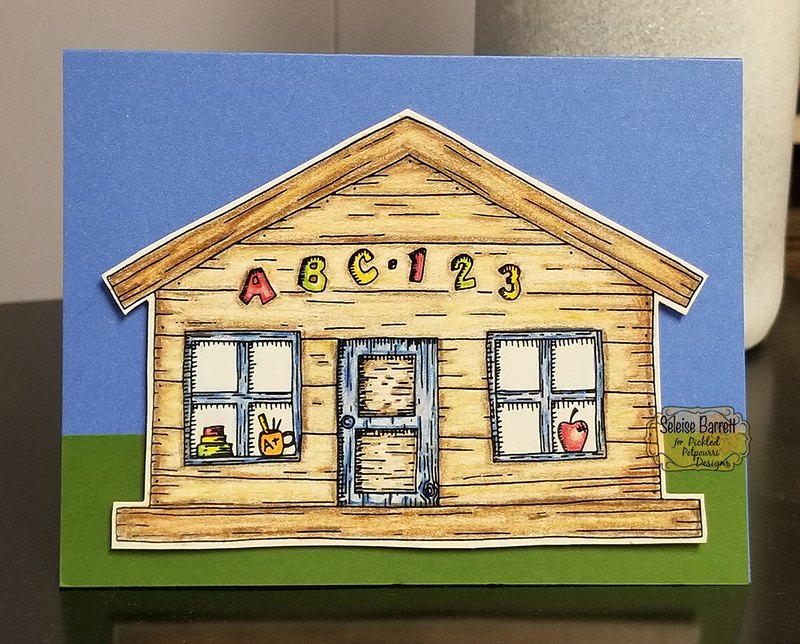 It's back to school time in Kansas and I just adore this image from Seasonal Birdhouses to celebrate that journey into the new school year. I spent the week-end helping my sister do back to school shopping with her four kiddos and have been watching my teacher friends post their classroom pics getting ready for the new year. I work on a college campus so the transition is happening here too and it's the last week of good parking. :( But, there's a vibrancy that comes to campus when all the students come back and that's pretty awesome! Getting back to business...wouldn't this be a great card for a teacher friend or a student who maybe needs a reminder of how awesome it is to learn things! 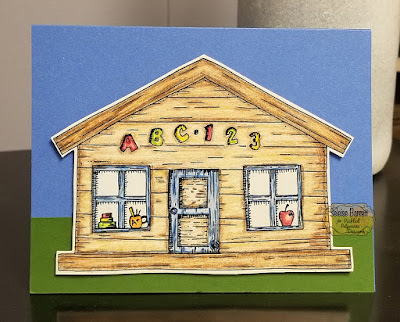 The image is colored with prismacolor pencils, cut out and popped up on the front of the card. I just think this is an awesome image and has the potential for so many different projects. Cute, cute! Here's the inside of the card. 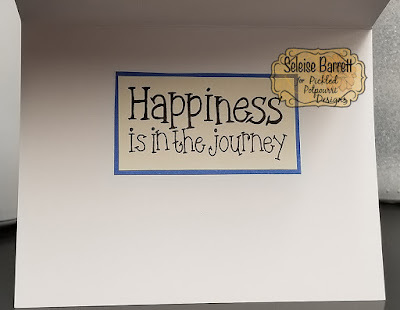 The school year is a journey and it's our choice to tackle that journey with happiness and hope for the future. What could be better! As the anticipation grows for the young for being back with friends at school and settling into a routine, the other end of the life spectrum covers those who are facing different life challenges whether that is an illness or saying goodbye to loved ones. The next two cards are for those needing a pick-me-up and to know they're not alone in their journey. 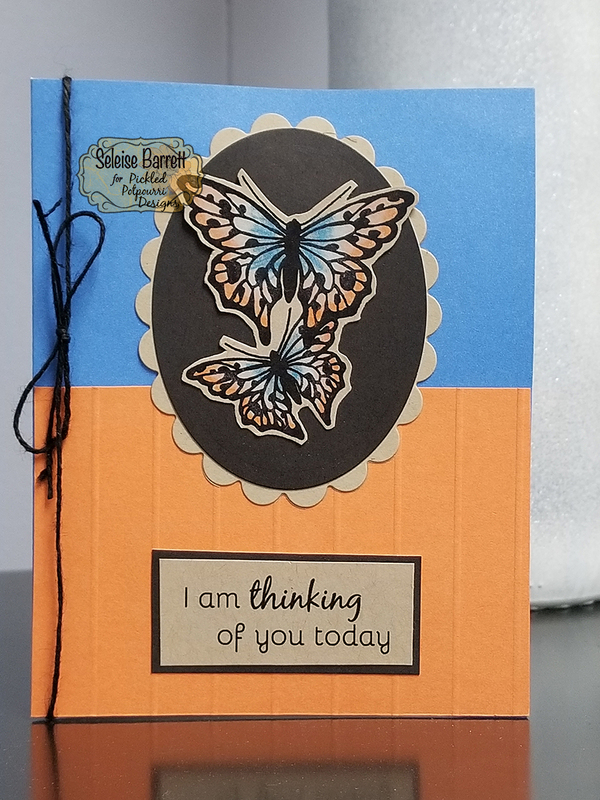 I chose butterflies for these cards because butterfly images are super versatile and can be used for everything from birthdays to sympathy to get well to congratulations. Pickled Potpourri Designs has some awesome butterflies and these two are no exception. They are both colored with prismacolor pencils. The top is from the digi set "Happiness" and the bottom is from "Today." The sentiment for the school card is from Happiness and the sentiment for the the top butterfly card is from Today. 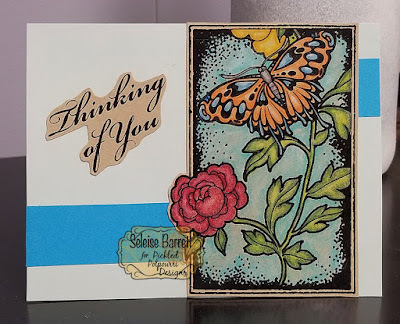 In the card below, the digi sentiment is from Nature's Greetings - isn't that a beautiful font! I think it compliments the image so well and I think either card would brighten the day of the recipient. That's it for this month. Check out these and all of the other great digis at Pickled Potpourri Designs.